Livestock haulers continue to gain support from legislators with the House of Representatives working on a bill that would amend Electronic Logging Device (ELD) and hours of service rules. On June 13, Rep. Ted Yoho (R-Fla.) introduced a bipartisan bill with Rep. Collin Peterson (D-Minn.) called the Transporting Livestock Across America Safely (TLAAS) Act- H.R 6079. Yoho, who is a veterinarian in Florida, took the lead on the TLAAS after a version of the same bill was supported by 11 Senators in late-May. Serving as the Ranking Member of the House Agriculture Committee, Peterson knows the importance of transportation to livestock producers. “This legislation provides needed flexibility to improve the safety and efficiency of livestock haulers across rural America. Moreover, it reduces the stress of travel on livestock, particularly during the summer and winter months,” Peterson says. Prior to TLAAS being publicly announced, Rep. Ron Estes (R-Kan.) told Drovers (see video above) that while the original regulations work for large fleet companies they aren’t a great fit for animal agriculture. 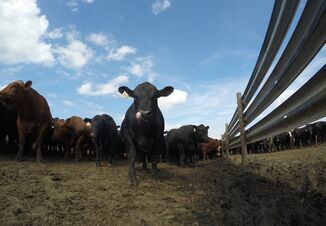 A number of livestock groups supported TLAAS in the Senate and the National Cattlemen’s Beef Association (NCBA) released a statement voicing support for the House version. “The House version of the Transporting Livestock Across America Act is another important step toward fixing the current Hours of Service rules for livestock haulers. 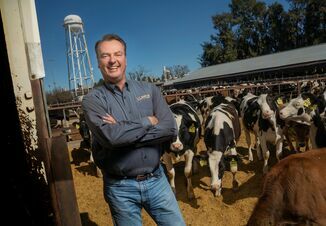 The status quo presents major challenges for the beef industry and can often jeopardize the health and well-being of livestock,” says NCBA President Kevin Kester. Just a day before the House version of TLAAS was unveiled a bipartisan Senate bill was released that would delay enforcement of the ELD and hours of service regulations for livestock haulers until a working group can determine a proper compromise.